NACWG is an organization of professional biologists, aviculturists, land managers, and other interested individuals dedicated to the conservation of cranes and their habitats in North America. LUBBOCK, TEXAS, on 8-11 JANUARY 2020. Sponsors a North American Crane Workshop every 3-4 years. Promulgates technical information including a published Proceedings of a North American Workshop and a semi-annual newsletter. Addresses conservation issues affecting cranes and their habitats. 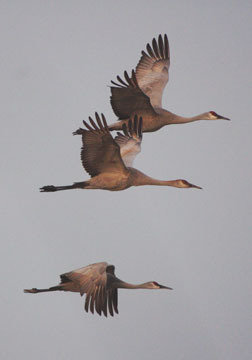 Promotes appropriate research on crane conservation and management. Promotes a better understanding and appreciation of cranes and their habitats among the general public. For information on North America's two crane species, click: sandhill crane (Grus canadensis) and whooping crane (Grus americana).